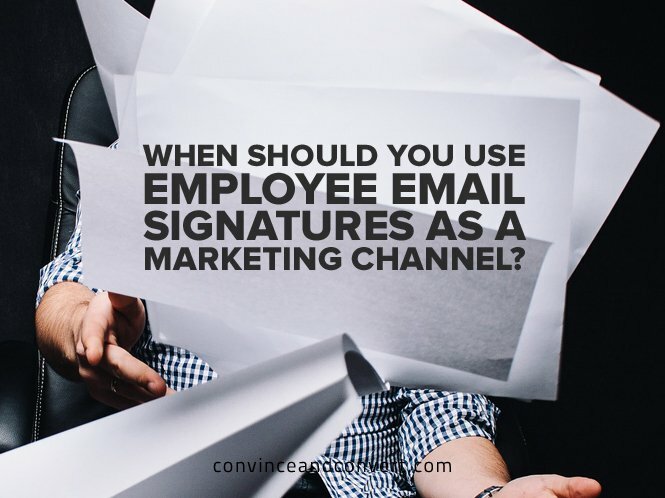 When Should You Use Employee Email Signatures as a Marketing Channel? Whether you’re a marketer at a startup, scaleup, or enterprise company, creating meaningful marketing messages and finding new channels to promote those messages is key—but it’s hard work! With more and more digital channels being introduced to the market, it’s often hard to ensure your company’s most important initiatives are communicated broadly to your audience of prospects, customers, and partners. But more than that, you need to ensure your messages are noticed and actionable. Employee email has been a mainstay in the marketing toolbox, and it’s no wonder: Email remains one of the hardest workers, with each employee at a company sending approximately 10,000 emails per year. So for a company of just 25, that’s 250,000 emails per year. And what do all of those 250,000 emails include? An email signature. While email has been a workhorse for communication for years, research from the Radicati Group still has traditional email growing by at least 26 percent by 2019 to 5.59 billion users—up more than one billion email users from today. 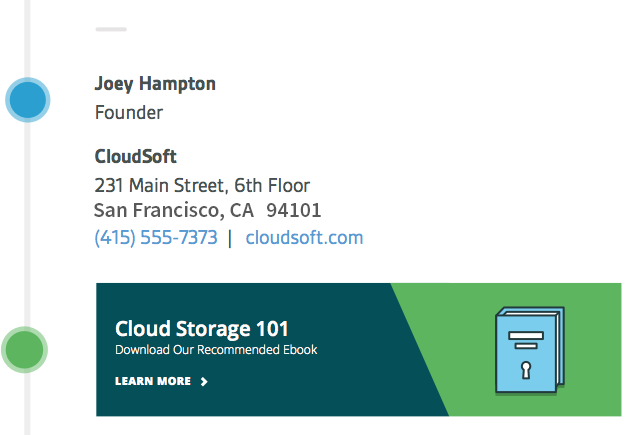 Because of this volume, email signature marketing can be an incredible distribution channel to promote your company’s most important initiatives, including content, upcoming events, company news, product demos, and more. What Exactly Is Email Signature Marketing? Solutions like Sigstr’s email signature generator combine a cohesive email signature with engaging campaigns, which can be easily managed by a single administrator. Signatures: Individualized, employee-specific names and titles. Centrally controlled branding, content, and information. Campaigns: Campaign banner integration highlights latest marketing content. Email signature marketing allows your company to gain control of employees’ email signatures to ensure proper formatting and branding on every single employee email signature. No longer will you have to worry about outdated signatures, formatting issues, or wrong uses of colors or fonts. The best part? Get the data to see what’s working so you can continually improve. For marketers that are evaluating new digital channels, there are a few questions to ask in order to determine if email signature marketing is something your company should consider, whether now or in the future. How do you know when the time is right? Do you use Gmail or Outlook for your company’s email client? Does each new deal have the potential to produce significant revenue for the company? Do you have a complex product that needs further explanation to understand value? What Are the Value Propositions? Does Your Team Produce Lots of Content? Do You Invest in Tradeshows, Events, or Webinars? Events are another key use case for email signature marketing. If you attend trade shows, conferences, or host webinars, every email your team sends lets your key stakeholders know about events and gives them the opportunity to register or request a meeting. Need to Reign in Branding on Signatures? If you don’t have at least a half-dozen events or content resources planned, then the value prop for email signature marketing is a consistently branded signature that employees don’t have to update. If the answer to any of the above is “Yes,” or if your company, team, or product/services are growing, then maybe it’s time to start leveraging your employees’ email signatures as a new digital marketing channel. Start experimenting, whether you invest in a tool or not. Find out what works for your company or team. And if you want to learn more, check out this recent episode of Marketing Marvels on how to get more from employee email signatures.